Why Do You Need to Label Your Cables? In any workplace, change is a common occurrence. Things like new equipment, movement of said equipment and any change in wiring is not visible to staff unless it’s properly documented. 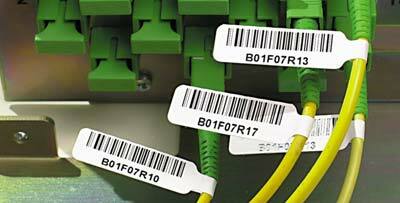 If it is properly labeled, a cable managing system can help in solving and detecting exactly where any problems occur. Since practically every process in a company relies on the electrical system, any disruptions can affect a wide range of processes, ranging from IT to basic infrastructure, leading to a possible halt in daily business activities and production. More effective audit compliance and quality assurance, in terms of manufacturer and installer warranties. Without proper labels, a company can lose valuable time and assets trying to discover where and what the problem is, before they can work on fixing it, and without warranty protection and long-term maintenance of electrical, telecom, A/V and security networking systems, the loss can be immense. What Should You Look for in Labeling Tools? Everything has a standard through which it can be labeled – from the cables, to the cabinets, racks and electrical panels, there is a certain criteria which has to be maintained. A properly labeled system will benefit everyone – IT technicians, contractors, managers, consultants, faculty or owners. Approved in 2012, the ANSI/TIA-606-B is slowly catching up to the world. Though its popularity with electrical contractors is taking its time to blossom, the main advantages include better clarity and improved efficiency. Choose Next-Generation Labeling Tools- For better performance and compatibility with the 606-B standards, heavy-duty, sturdy and durable labeling tools are recommended. Tools that are designed to withstand onsite and long-term use work best and are often used by professionals.Everything from the thermal printers that do not use ink and can print a variety of labels can be used for labeling cables and infrastructure systems, with durable, approved polyester tapes. The printer produces long lasting ink while the tape has a protective layer over the writing for long term use. With a relatively low cost and high service, today’s robust labeling tools are a worthy investment, and can help you create a truly professional workplace!